ICC hosted the High-Tech Ag & Diesel Technology Career Expo on Thurs., Sept. 13 in AIT. This free event was open to high school juniors and seniors and their parents. 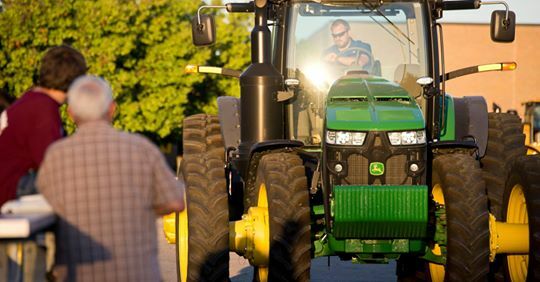 Recent high school grads, as well as college-aged and older adults interested in learning more about educational opportunities for today’s agriculture, diesel technology, and STEM-related careers also were encouraged to attend. More than 20 local businesses participated in the expo, many bringing heavy machinery and the latest technology in their career fields. Visit the Peoria Journal Star website to read an article and see photos from the evening.